One of the things that you need to spend money on each week is your groceries and if you don’t do this effectively, you can end up wastinga lot of money. Many people go to the local store every few days and pick up things with no system in mind. If you are one of these people and you are feeling the strain on your bank account, then it is time to change. 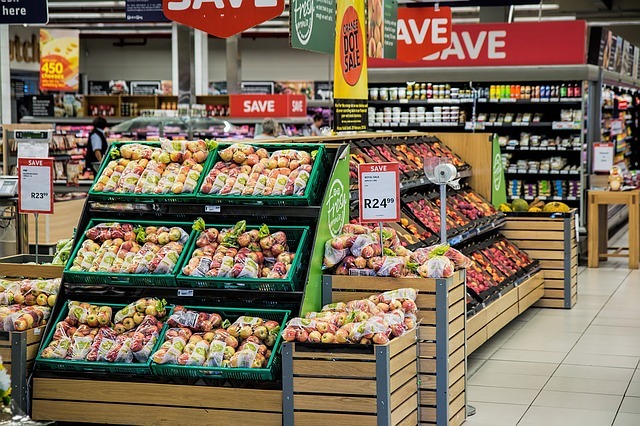 In this article, we are going to discuss how you can save money on your groceries. Make sure to keep reading if you’d like to find out more. One of the best ways to save money on your groceries is to plan ahead. Your bank accounts will thank you later if you can think of a few meals that you are going to make throughout the week before you head off to the shops. Planning ahead can help you to use up all of one of the ingredients, for example, if you were to buy a bag of onions and use them for a few meals rather than buying them singly each time you go. When you are planning your weekly shop, you should also aim to set a budget. This means that you won’t overspend when you go into the supermarket, as you will be going over your budget. Think about how much you can afford to spend and how much disposable income you have. This will help you to set the budget that you can work with. Once you have done this, you’ll be able to save yourself some money on your groceries. Many of the big supermarkets help their customers out by offering loyalty schemes that can help people to collect points. With these points, you can get yourself money off vouchers which you can then use next time you go shopping. Big brands are good for this and if you shop there regularly, you should make sure that you sign up for the loyalty scheme. You don’t need to change the way you shop, you simply need to scapn your card and collect points by buying products. Coupons are great because they can help you to get money off the individual products that you normally buy. You’ll find coupons in newspapers and magazines and you might even get some from the supermarket itself for being a loyal customer. When you use a coupon, you are saving money and you should not ignore their potential for helping out your bank account when you see them. It is not as difficult as you might think to save money on your groceries each week. Make sure to set yourself a budget and plan ahead what you are going to buy. You should also make sure to shop around and sign up for any free loyalty schemes that the supermarkets offer.